This Mini Soccer Goal is ideal for club 7v7 football and offers a more realist rebound. 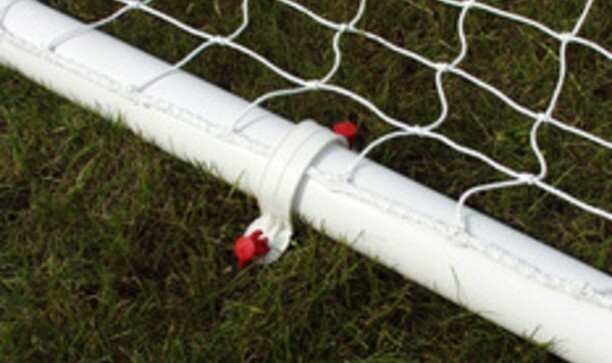 A better and safer alternative to heavy cumbersome and dangerous free standing steel goalposts.The 12'x6' flat pack goal is made from lightweight aluminium tube secured with strengthened polypropylene corners and indestructible black industrial nylon connectors. 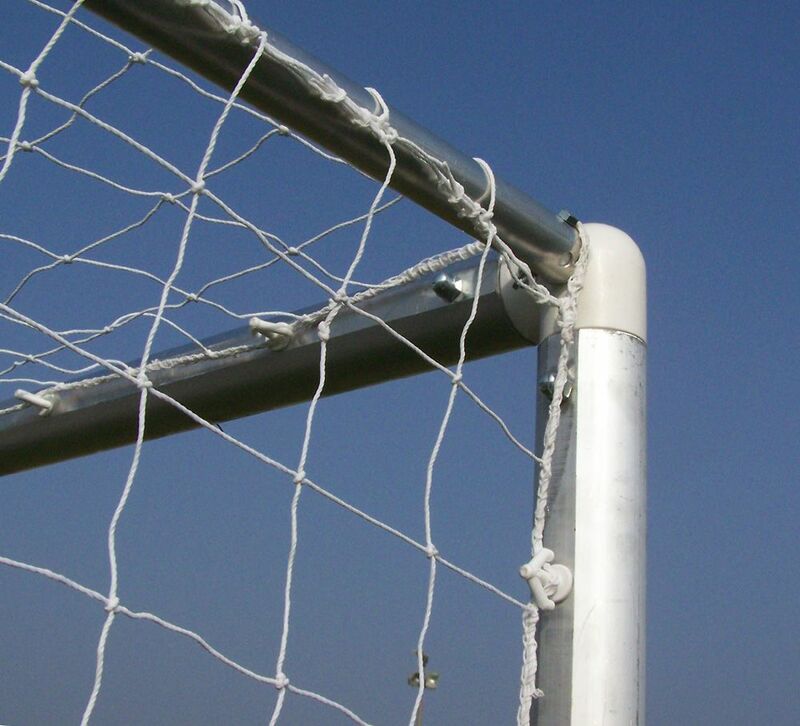 Each goal is supplied with a top quality longer lasting white net, anchors and all necessary fixings.Unique arrowhead net fixings enable neat rapid fixing of nets to the rear of the posts. 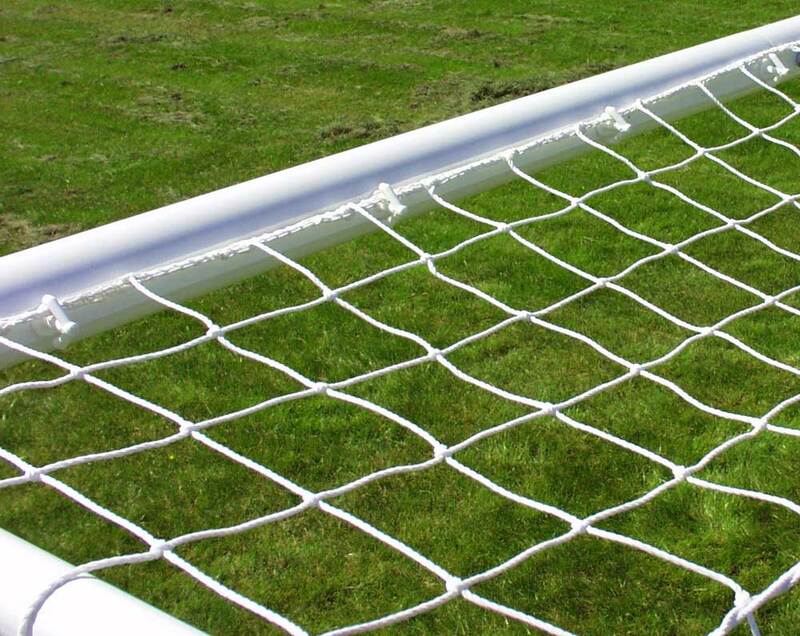 The quickest and neatest way to fit nets to football goals. 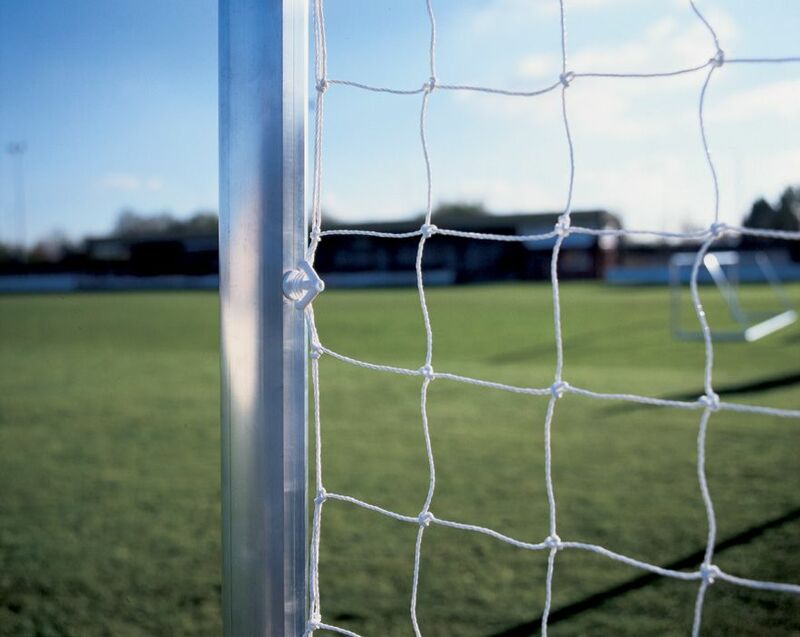 The side frames can be left assembled with the net attached, and on match days they can simply pull apart to allow the single section crossbar and rear ground frame to be quickly and easily slotted in place. A superior quality value for money football goalpost that is functional, easy to use, competitively priced and has longer warranty. This football goal is available in aluminium mill finish or painted white. Select the option you require from the drop down box. Delivery on painted goals is slightly longer. We also offer a pre-assembly service at additional cost for faster initial installation if required. This is useful if multiple goals are required to be set up quickly. Hi just a quick e mail to say how fantastic the goal we bought was. Easy to build and looks fantastic Thank You Warren Fisher JJ Sports Coaching. 12' x 6' aluminium goals. really sturdy goalpost. Excellent Product.